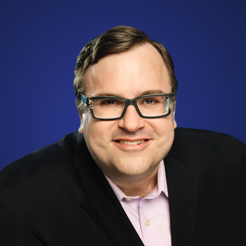 In addition to founding the world's largest professional networking service that has transformed how businesses and individuals connect with one another, Reid Hoffman has been actively involved in all areas of the tech industry, from serving as a board member on many startups and nonprofits to becoming a venture capitalist at Greylock Partners. His new book "Blitzscaling", which he co-wrote with fellow entrepreneur Chris Yeh, explores how to effectively implement the approach to grow better as a company. Together, Reid, who will videoconference in from San Francisco, and Chris will speak to attendees in an Ask Me Anything spotlight session that is sure to excite and inform those looking to grow their own brands and maximize swift business change and growth.